An international commission has selected a monument project for construction which will be built in the Israeli city of Netanya to commemorate soldiers of the USSR who fought Nazi Germany and saved prisoners of the death camps during World War II. 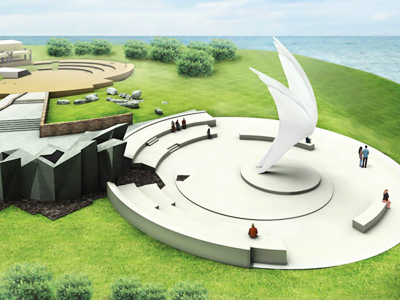 The monument will show the symbolic path of the Jewish people – leading through a dark maze of historical persecution and tragedies to a vast white open space with the giant wings of a dove to bring hope for a better future. The idea to build the memorial was first proposed by the Israeli government in February 2010 during Prime Minister Benjamin Netanyahu’s visit to Russia. Back then, he said the future monument would be a sign of gratitude to soldiers of the Red Army, including some 500 thousand Jews, who played a crucial role in defeating the Nazi. The project, which won the sympathies of the selection commission on Thursday, was proposed by three Russian architects. The history of World War II and monuments commemorating its victims are a politically hot issue for Russia. A number of scandals involving such monuments in former soviet republics have happened over the previous few years. 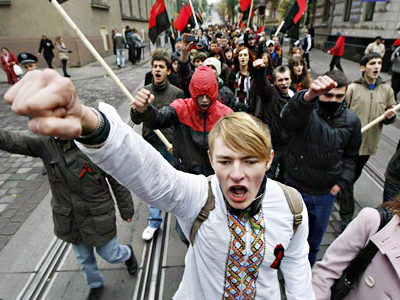 In April 2007, the move of a war memorial from the center of Estonian capital Tallinn caused mass riots of the country’s Russian-speaking population, which resulted in one death. In December 2009, plans to remove a war memorial in the Georgian city of Kutaisy ended in a tragedy when a local resident and her eight-year-old daughter died during the demolition. Moscow sees those as part of a general trend to revise history and results of the war and opposes them. Israel, which goes to great lengths to fight against denial of the Holocaust, has been sympathetic to Russia’s harsh position on revisionism.